Andrea began practicing Yoga while training for a half -ironman when her Chiropractor told her she could do more for herself than he could do for her and sent her to yoga. That was the beginning of a new path and journey. The Maine YogaFest fits beautifully into her goal of making a difference in her community and in the world. ​Andrea lives in South Portland with her husband, daughters, dogs and a cat who thinks he's a dog. Julie had a long career in her family business at Jordan’s Meats. After the sale of the family business both her and her mom endured the diagnosis of breast cancer. Through this journey she found her real passion: Triathlons, raising money to find a cure for cancer and community. Julie completed her first triathlon just one year after her cancer diagnosis and was hooked! Julie is the founder of Tri for a CURE, which is an all women’s sprint triathlon that raises money for the Maine Cancer Foundation. Julie is also the co-founder of sheJAMs, LLC and Inspired Events, an event planning company. Working with people through exercise has been a passion - Maine Yoga Fest was a natural fit in connecting community for her. Laura left the hustle and bustle of the NYC ad agency world to move back home to Maine to raise her family, and follow her heart advocating for women and girls in the non-profit sector. 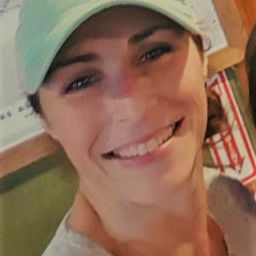 Laura is the Marketing and Communications Director for Girl Scouts of Maine, and is grateful to balance that with her passion for yoga and the Maine community managing social media for MYF. Discovering yoga in 2002, Laura fell in love with the practice. She received her 200-hr YTT from Jacqui Bonwell's Sacred Seeds in 2016. She also received her Children's Yoga Certification from ChildLight Yoga, Pranayama & Meditation Certification from ShivaShakti School of Yoga, and Reiki 1 Certification, all in 2017. Sheri has a background just about as diverse as you can get (Marketing, Accounting, Teaching, Fitness, Travel, Test Prep, e-Commerce, Recruiting... etc). Her love of helping people find quality programming and products lead her to a career in marketing, where she helps brands define their unique offerings and target the people who will benefit from them. and is grateful for the Maine yoga community that has embraced her. "Nicky White earned her 200hr RYT, from Wholeheart Yoga, along with taking additional trainings in Yin & Meditation with Sagel Kelly Urlacher, as well at Prenatal Yoga Training. Nicky has participated in MYF since its inception. She loves how the MYF brings people together and creates that community feel. She had recently been working with The Black Tie Company, as an Event Planner, until she decided to stay at home with her daughter, Isabelle. Nicky has a MBA in Entrepreneurship as well as a BS in Business. With her event planning experience and business background, we are excited to have her manage the 60+ volunteers that it takes to make the Maine Yogafest happen."